As Once Upon a Time expands the fairy tale world, it explores the most fundamental questions asked by humanity. As the theme of “True Love” recurs frequently, Once Upon a Time gives the definitive answer to the question: “Is there love at first sight?” (Whether or not they intended this answer, I don’t know.) But, the answer is a resounding “Yes!” Well, sometimes. The Queen’s soldiers surround Snow. All photos copyright by ABC and other respective production studios and distributors. “Seemed like the honorable thing to do.” Let’s consider other equally valid responses: “Seemed like the right thing to do” or “seemed like the loving thing to do.” Don’t you see it? It was love at first sight! Allow me to explain. Prince Charming’s commitment to do the right thing results in treating and viewing others with love. Because he loves people, he loves Snow at first sight. It flows from his character, not the actions or personality of the other individual. Ok, this might not be romantic love at first sight. But it is love. If you are a loving person, a truly loving person, you love everyone at first sight. Now, Snow does not love David at first sight. Rather preoccupied by her own welfare (which was admittedly in grave danger), she chooses to steal from him. She begins to love only when she sees his heart towards her. After he is captured while allowing her to escape, bridge trolls draw near to kill David. She comes to rescue him, showing her love in return. 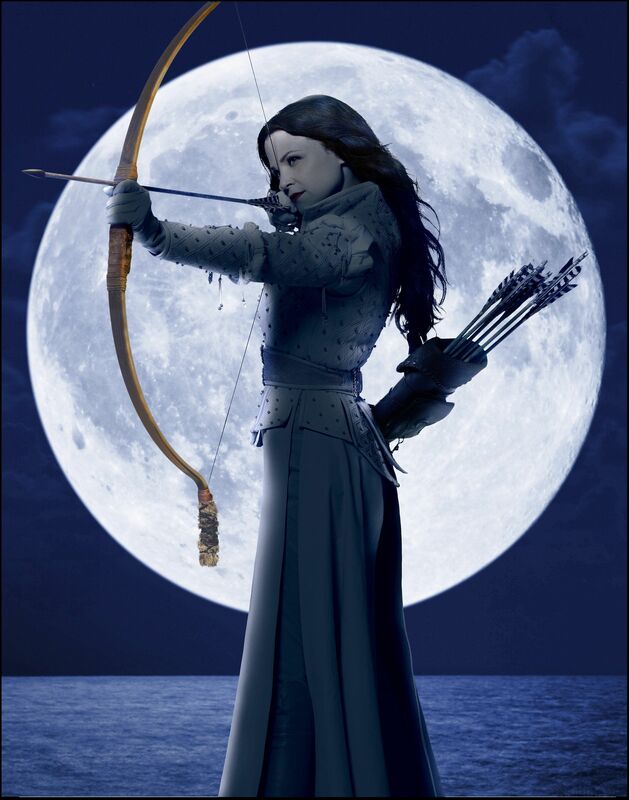 Snow White doesn’t just talk to birds in Once Upon a Time. It is God who loves us at first sight. The Apostle John, one of Jesus’s closest followers wrote that “God is love” (1 John 4:8,16).4 Whoever He sees, He loves. In fact, He’s loved us before we even existed. “Before the foundation of the world,” he chose to make people holy and blameless out of His love for us (Ephesians 4:1). I guess we were loved before first sight! In the same letter, John also wrote: “This is love: not that we loved God, but that he loved us and sent his Son as an atoning sacrifice for our sins” (1 John 4:10). We are like Snow White, certainly more concerned about ourselves than our Creator. Our affection must be won. So God loves us first and initiates the pursuit. Many turn to Christ when they simply realize how much God loves them, and the story of Jesus’s sacrificial death becomes more than a story. Some of my fondest memories are the moments when I began to glimpse how much God loves me and others. Also like Snow, we have a tendency to forget. For this reason, it is good to make note of God’s faithfulness in our lives and to regularly remind ourselves of His love. Thankfully though, like Prince Charming, God continues to pursue us regardless, intervening in our lives again and again. Also like the Prince, I have found Him to be utterly committed to my spiritual growth, working in my life to make me love like He does. And finally, let us be like Prince Charming. What if you resolved to show love to the next person you see, whether a friend or a stranger? Let’s love others at first sight. Your blog was beautifully written and beautifully expressed. It’s wonderful to know that God loved me at first sight and even before first sight. Although I sometimes have problems believing or feeling His “unseen” love, I know I can express the warmth (love) and empathy that He has given me to friends, family, and most of all strangers. Well said, honest, and wise. I think I can relate. There are times I don’t feel God’s love, and although it often helps to remember previous experiences, sometimes a memory does not suffice. It took me many years to realize your point, that even when I do not feel God’s love for me, I can still experience His love for others, and that was very freeing.